Governments across emerging markets are working to improve energy efficiency and reduce domestic energy consumption. 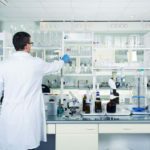 Businesses of all sizes and industries likewise, are making changes to their processes to conserve energy and in turn reduce costs. Whether it’s keeping the lights on, maintaining comfortable temperatures for your staff, using various processes to run a production line … energy keeps our businesses running. Increased Comfort. 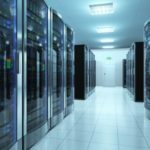 Because the newer equipment or systems installed can be controlled better, run more efficiently, more responsive to the changing temperatures. Providing a comfortable and healthy interior environment is one of the core functions of building energy systems and accounts for about a third of total building energy use. Improved Process. 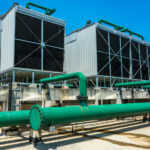 With higher efficiency chillers, boilers, and air handlers for industrial and manufacturing productions lines mean less waste, smarter automation & controls, and substantial cost savings. Even small gains can have big impacts when scaled over national and global operations. 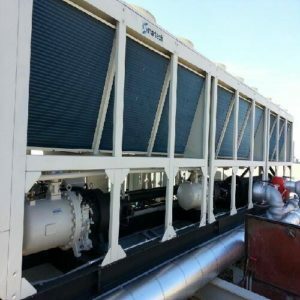 When a company is seeking cost and energy savings from their commercial HVAC system, Comfort & Process Solutions begin by sending a trained, certified representative to evaluate their current system. Depending on the industry requirements and government standards, an ESCO* company can facilitate the overall energy-savings plan. We work together with the chosen ESCO company during each stage of the planning to recommend several levels of energy-saving equipment and controls with proven percentages of improved efficiency. We strive to provide various options that fit our client’s budgets as well as their time schedule or deadlines. For example, if the company needs a commercial heat pump, boiler or air handler we will recommend several brands that have higher EER Ratings, or AFU energy rating of each system. 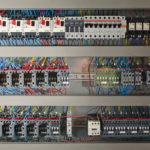 HVAC equipment needs a control system to regulate the operation of a heating and/or air conditioning system. 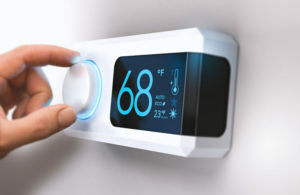 Usually a sensing device is used to compare the temperature or humidity within a target area, and then the control system draws a conclusion what adjustment needs to be made. Central controllers and most terminal unit controllers offer programmable settings, including time schedules, setpoints, controllers, logic, timers, trend logs, and alarms. The unit controllers typically have analog and digital inputs that allow measurement of the variable (temperature, humidity, or pressure) as well as of control of the transport medium (hot/cold water and/or steam). Monitoring and controlling HVAC systems for improved energy efficiency combined with improved comfort throughout the seasons. Newer technology far exceeds the quality and functionality of the older systems. First, we troubleshoot their existing system, as their energy waste may not be due to the quality of their equipment, but the methods used for the original installation and setup. We serviced one local company whose system was only four years’ old but it was not installed properly, so CPS came in to recommission it and adjust the control settings so the system was running at optimal efficiency. The Johnson County Schools’ HVAC system was over 30 years’ old so Comfort & Process Solutions worked in conjunction with an approved ESCO company to convert their system to an approved energy star system. 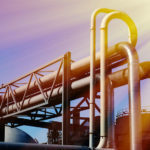 After a complete audit, the ESCO company proposed new boilers for energy savings, as well as reduced costs ongoing labor and repair for their current system. The analysis and planning stage took three years to complete, from concept to design, taking into consideration that the school system had little or no funds to invest in a new system. We met with the schools’ board several times throughout the planning stage for strategic meetings and discussions to provide them the best fit for their needs. We worked alongside the ESCO company to design the layout of the new boilers system. Once the Kentucky Department of Education approved, we went to work safely removing their Coal-Fire Boilers and replaced with high-efficiency Lochinvar Gas Boilers. After three years of planning, our installation of setup was completed in just six weeks in six schools of the Johnson County School system. With a new energy star rated system, the school system was provided a guarantee of 10-15 years of energy savings. Not only were their maintenance costs reduced, but we also improved the comfort level of the faculty and students, creating an environment more conducive to happier learning and teaching. “Johnson County Schools recently replaced ALL Coal Boilers in our system through a Performance Contract. CPS received the bid to demo old Coal Boilers and install new Natural Gas Boilers. CPS never approached this as a job; they came into our school district and were partners to Johnson County Schools. They looked for ways to give Johnson County Schools the best of quality at a price everyone could be successful. CPS willingness to help the students of Johnson County was above and beyond the call of duty. I cannot express the joy I have in the installation of our boilers the joy that if I need anything CPS is a phone call away. Jeff Fristoe and his crew worked as if they were a part of the family at Johnson County Schools. 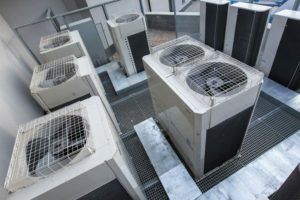 Efficiency of a commercial HVAC system need to be analyzed and adjusted each season. 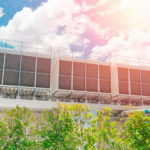 As we finally head into warmer weather, preventative maintenance is recommended on cooling towers, chillers and boilers, water coils, heat pumps and controls. Now is the time to have them checked out so please contact Control & Process Solutions to setup an appointment.